Taste of Toronto is a 4-day long event that's all about restaurants, chefs and the foodiest of things available to us in the city. The idea is to get a small taste of some specialty restaurants to see what kinds of dishes they serve, and ideally visit for a full meal in the future. I was lucky enough to get two tickets free of charge from my good friend Joseph and I went to the event with my mom on the final Sunday afternoon. The ticket price is $20-$30+ depending on when you visit - there are afternoon and evening sessions, with weekends being most expensive. There is the option for "visit twice" tickets for $38, and VIP tickets which are up to $100 if you buy at the door. You have to pay $1 for a currency card to load up, which you will then use to purchase any restaurant meals (around $5-$10 crowns) or packaged food for sale. We didn't get much restaurant food, but my favourite thing we tried was the battered and fried halibut fish from The Drake. Now, with this ticket you also get access to some freebies! My most memorable freebies were the Nespresso iced coffee in reusable plastic cups, a little set of recipe cards, and lots of samples: cheeses, jams and spreads, drinks (wine, tea, caesar mix), charcuterie, juices, etc. You also get some cute reusable bags with purchase from any of the brands doing sampling. I loved the small artisan section which featured handmade accessories and food-related gifts like the Shop Foodie Studio aprons with ingredients printed on them, along with various packaged snacks and deserts. We picked up some beef jerky and a loaf of sourdough bread to bring home. There was some great live music throughout the day which was in partnership with WAYHOME music festival. 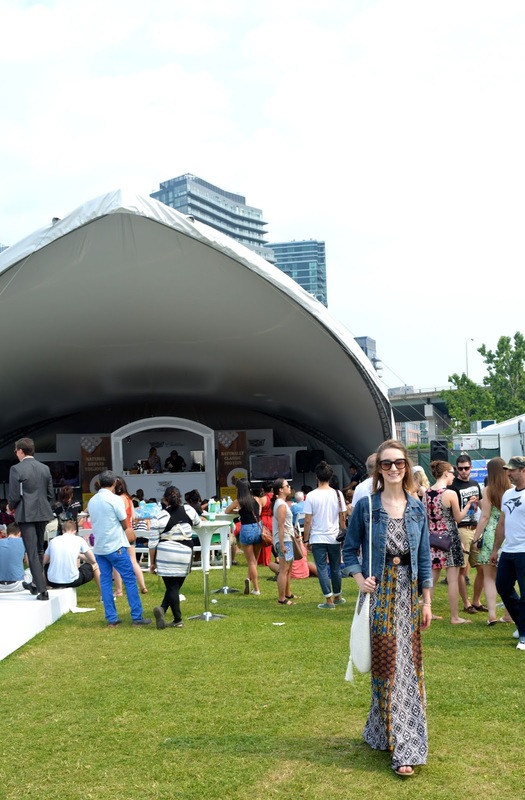 I was so pleased with the cleanliness and organized layout of Fort York for Taste of Toronto. Though there were some longer lines for the most popular restaurants, there was always a booth free to try something out. I must admit that I do find the ticket price to be a bit steep. As a student, I'd love to see a reduced rate for us in the future. Even though restaurants cater to a more mature crowd, us 20 somethings go on dates too! 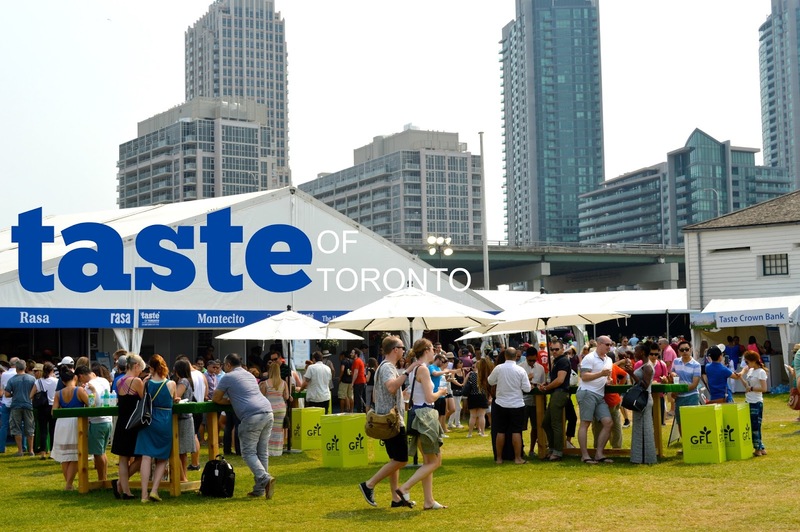 Have you ever visited Taste of Toronto? Check out their website linked here for any other information. I'm so sad I missed this, everything looks incredible. Iced coffee especially, yum!